I found this worked well in communicating the idea succinctly, while leaving some room for mystery. Either way, I’m happy to announce that the event was a great success! 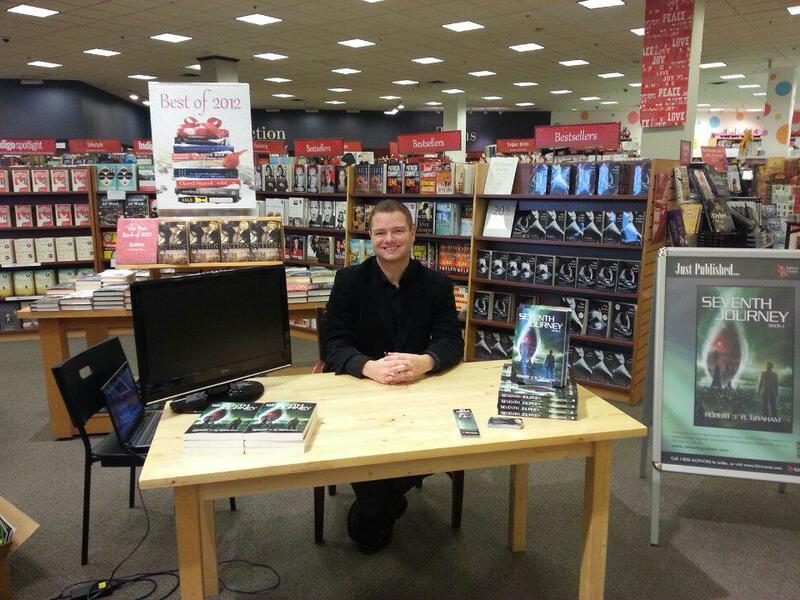 I sold all of the inventory at Chapters Square One. We cleared off all the shelves, and even went on to sell some of my reserve stock! I have to say that I’m extremely fortunate, as the folks at Chapters set me up at a perfect location. I was right in-front of the main entrance, situated just beside the Christmas box set for 50 Shades of Grey ;). Let’s just say, there’s always traffic around that book. All kidding aside, the table, and location were fantastic. I was within easy access to a plug, allowing me to setup my book trailer as well. 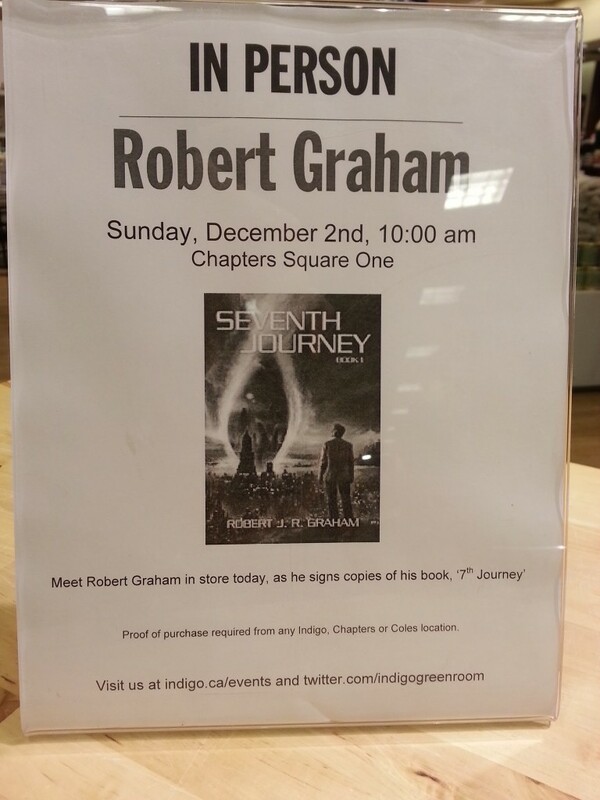 The event went on from 10am – 5pm, with a final announcement made through the store… “Last call for an autographed copy of Seventh Journey by Robert Graham. He will be leaving in 30 minutes.” And with that I packed up, yet even as the last person glanced over my book before walking on, I knew it was time… to get some dinner. Thanks for reading, and all your support!